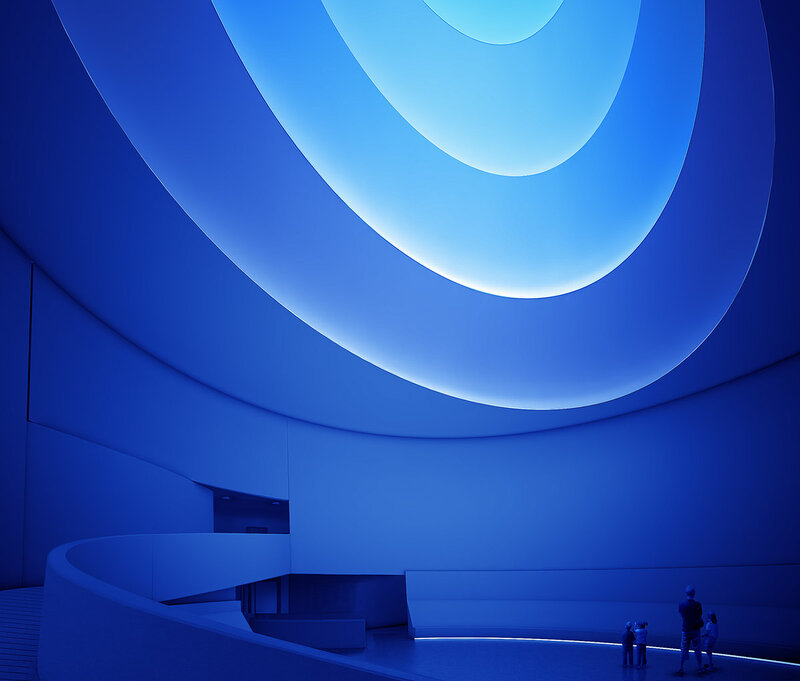 I had the great honor of working with Solomon R. Guggenheim Museum's team for their hosting of James Turrell's installation, Aten Reign. 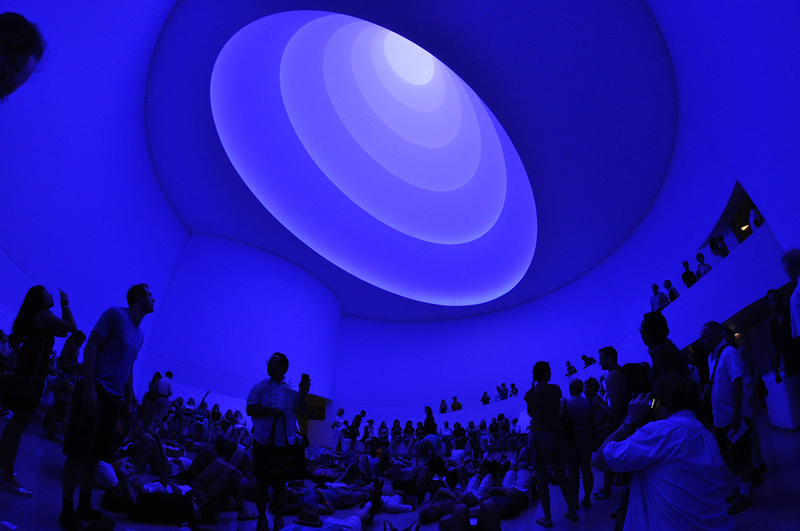 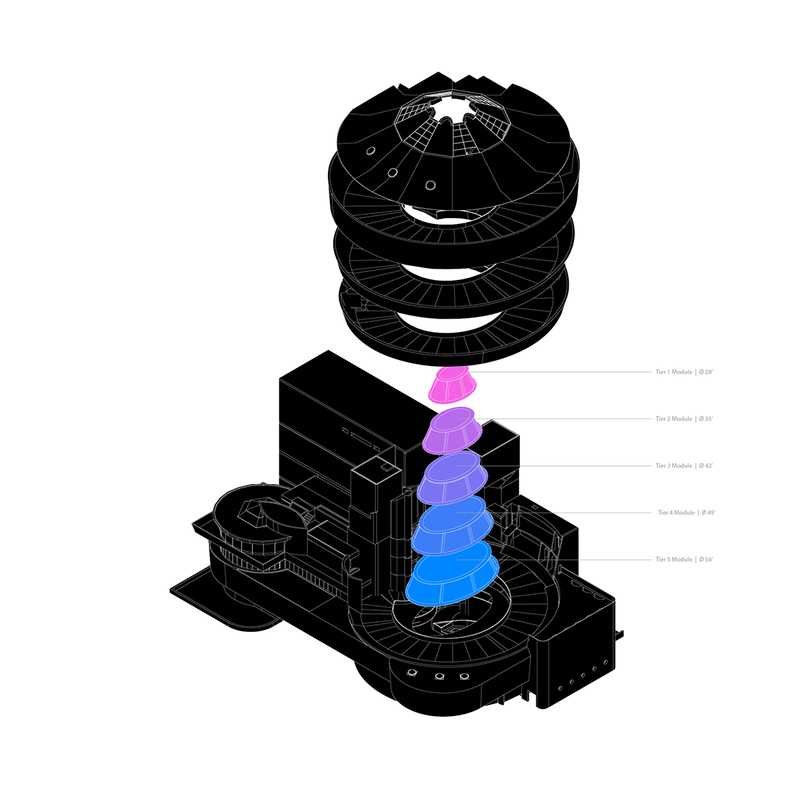 This was Turrell’s first solo museum exhibition in New York since 1980. 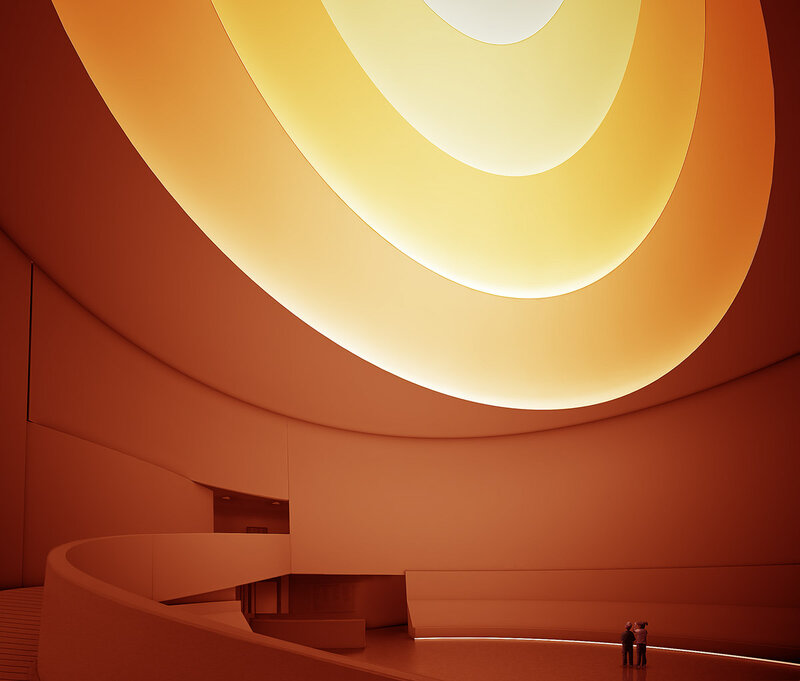 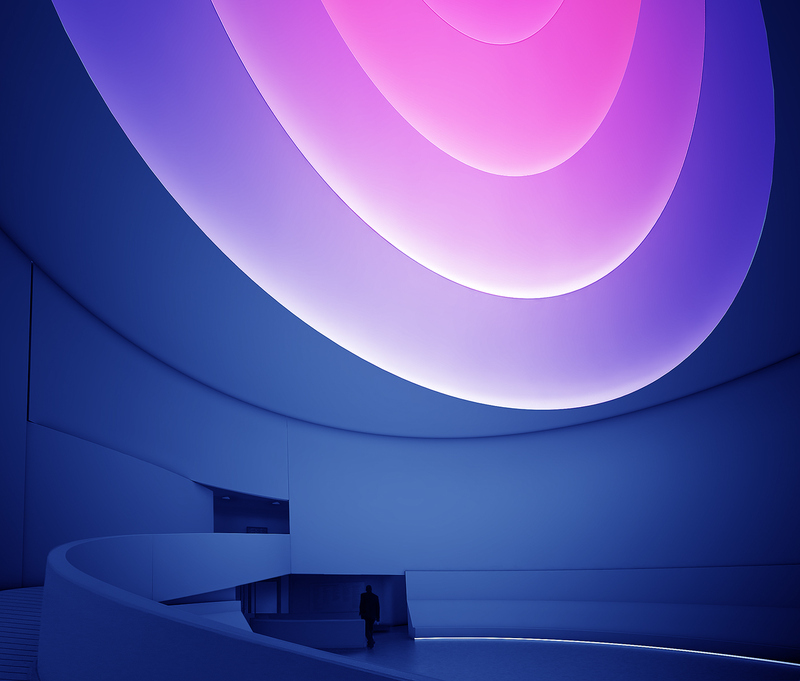 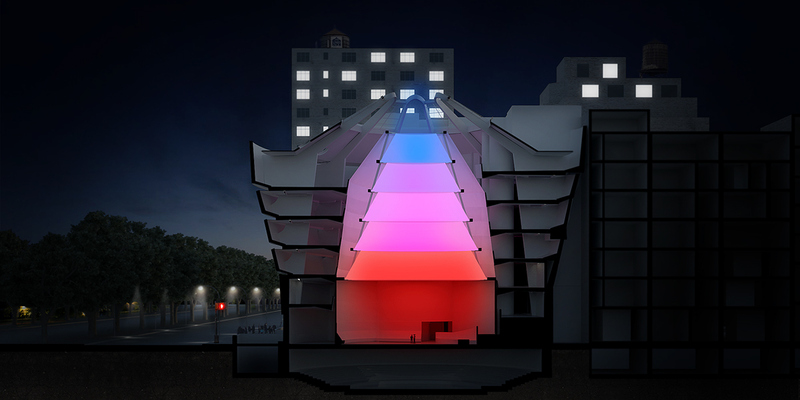 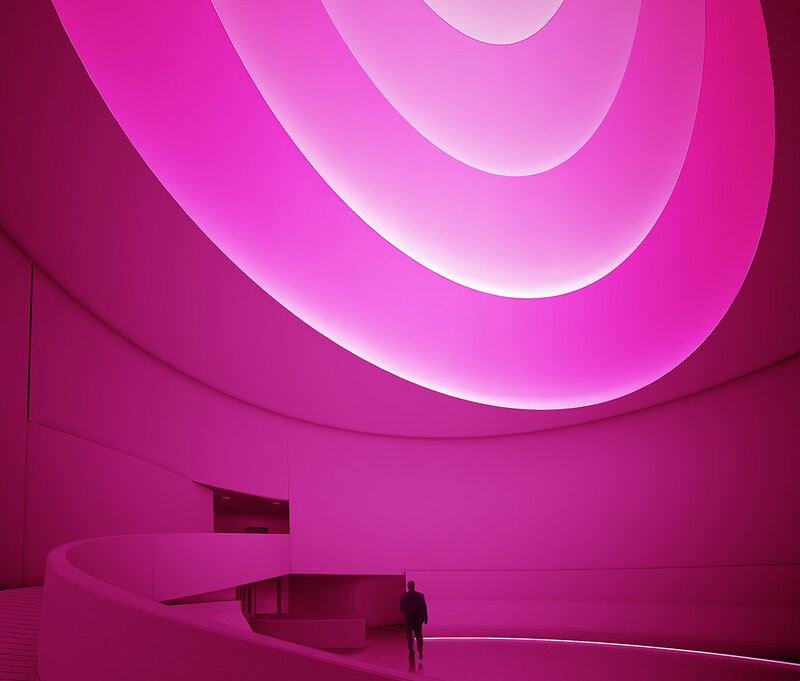 The museum closed its iconic ramps and the interior void was illuminated into a colorful and glowing space, adopting the impression of an eyeball with multiple pupils when viewed from below. 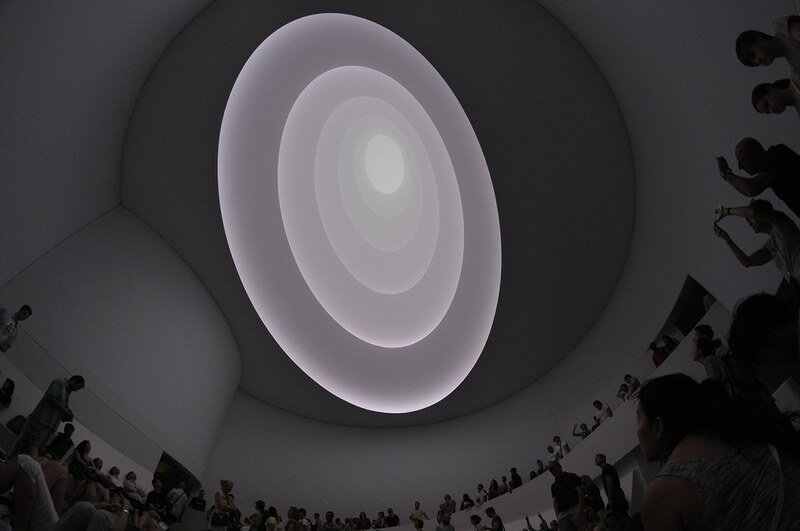 "Spend time watching its fluctuations and you may or may not see God, but you will probably come away with both an enhanced sense of your visual powers and also a new humbleness concerning the world’s visual complexities"